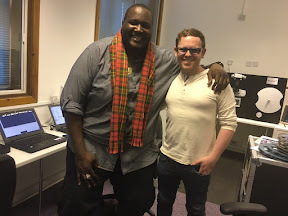 THE Blind Side actor Quinton Aaron says he thinks Glasgow cabs are the best because he can fit into them no problem. 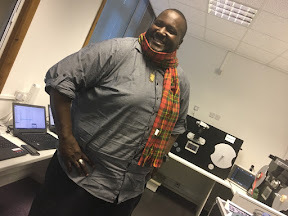 The six foot eight actor from the Oscar winning movie with Sandra Bullock was in Scotland for a few days after the European Premiere of his new film Halfway at the Glasgow Film Festival. He added: "Scotland smells and looks pretty cool. I see parts of downtown that remind me of different States back home. You get that same feel almost of New York here that I've seen, people just on the move, walking in front of cars." Halfway tells the story of a black man who had recently been released from prison and working in the white heartland of a family fame in Wisconsin. It is produced by Edinburgh born Jonny Patterson. Quinton said: "Jonny is cool. He's like my little little brother. He's super cool to work with and I spent the whole process trying to mimic his accent."